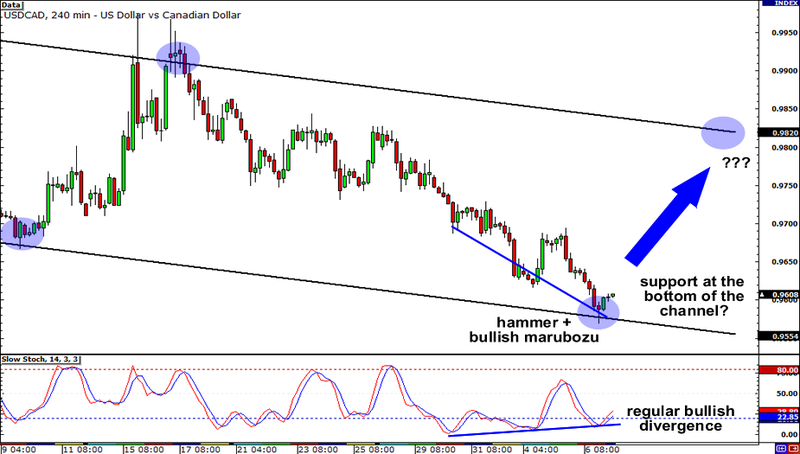 Remember that descending channel I pointed out a week ago on USD/CAD? Today, let me zoom in to the 4-hour timeframe. Aha! It looks like there were enough bears to push the pair down to support at the bottom of the channel! However, with that hammer sitting nicely on the trend line followed by a bullish marubozu, could it be that the bear rally is over? Yikes! There’s also a regular bullish divergence which could indicate that bulls are revving up for another rally. Don’t get too excited setting your buy orders yet though. A convincing break below .9550 could signal that USD/CAD will tumble to its previous low at .9420. My, my, my, talk about being stuck in a tight range! 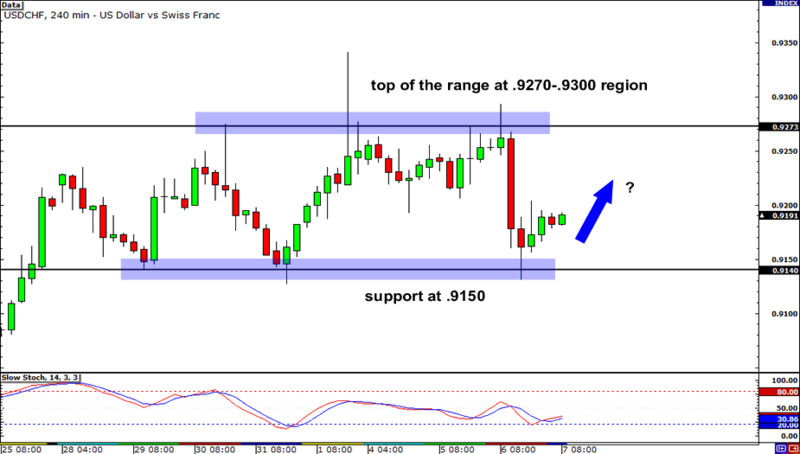 As you can see on USD/CHF’s 4-hour chart, the pair has been unable to find clear direction in the past couple of days as it has been bound by resistance at the .9270-.9300 region and support at .9140. With price slowly climbing back up, it looks the pair is gunning for the top of the range again. Watch out bears! After being on a roll in the bull turf for the past few trading sessions, could it be time for the euro to retrace some of its gains? 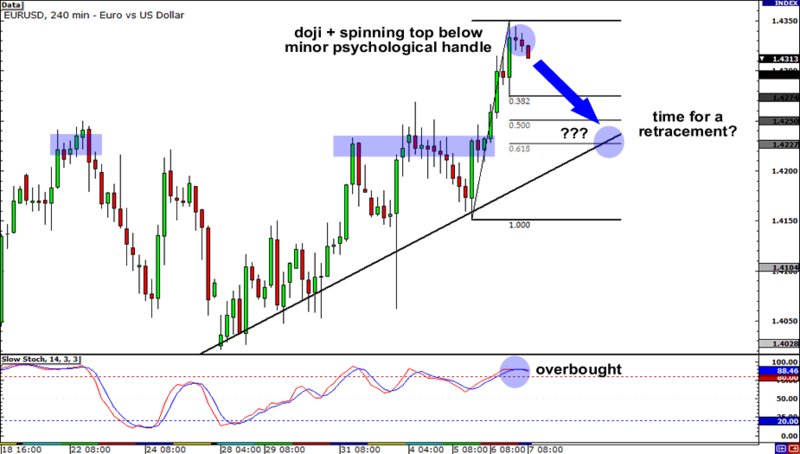 Hmmm, Stochastic being in the overbought area, and that doji and spinning top just below 1.4350, tell me it just may be! EUR/USD could pull back to the 61.8% Fibonacci retracement level and test support at the previous resistance area and the rising trend line before it continues its rally up the charts. However, if bears overpower the bulls, EUR/USD could plummet to 1.4050. So be on your toes!